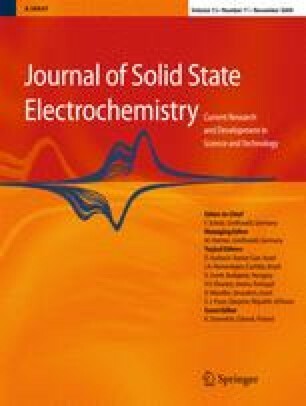 Electrochemical and corrosion behaviour of metals in alcohols are the subject of numerous investigations because of the application of mentioned solvents in chemical engineering, production of oxide nanoparticles (sol-gel techniques) and application of alcohols as fuels. Despite relatively rich bibliography related to electro-catalytic oxidation of alcohols on metal surface in mixed aqueous–alcohol solutions, the knowledge of the mechanism of reactions on metal/anhydrous alcohol interface is still not sufficient. Anodic oxidation of metal surface in alcohol leads to several electro-catalytic reactions with formation of surface compounds being the product of metal and alcohol oxidation. Identification of these products is very difficult. Therefore, our knowledge of the composition and structure of passive films or corrosion products on metal surface in anhydrous alcohol solvents is poor. Our paper presents the investigations of anodic behaviour of metals (Cu, Zn, Fe, Ni, Al and Ti) and semiconductors (p-Si) in methanol solutions of electrolytes, performed in our laboratory within the last 10 years. On the base of electrochemical measurements (linear sweep voltammetry, electrochemical impedance spectroscopy), spectroscopic investigations (X-ray photoelectron spectroscopy, ultraviolet photoelectron spectroscopy and low-energy electron diffraction) and scanning electron microscopy techniques, the role of metal–alcohol intermediates in the formation of surface and soluble compounds is discussed. The practical application of electrochemical etching of metals as a method of production of micro- and nanoparticles of metals and oxides is also shown. Presented at the international conference “Corrosion Today” held in Gdansk-Sobieszewo, Poland, 23 to 26 April 2008.